Luggage for Ryanair 2 Pieces What are the Dimensions ? 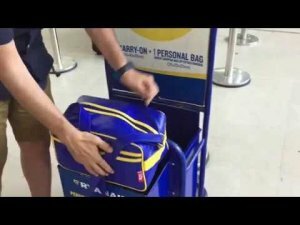 There are finally new dimensions for Ryanairs carry on luggage. Better still is we are finally getting our heads around what to buy to maximise this to the limit. There are 2 pieces free of charge per person. Carry On Two : 35 x 20 x 20 no dimensions given nor weight limit. I assume its like the guidelines for the handbag. Check on Ryanairs Bagage Page to see if it has changed correct at date of publish. Be careful of tiny kids backpacks as they are counted as luggage ! They don't hold much. We have seen in the videos that kids trunkies DO fit in the Ryanair test device as well. Watch both videos and don't get caught out. Amazon have a very handy link to shop for lugagge by airline click here to test it out. Here is a roundup from the independent as further reading for the discerning shopper ! We went camping in France with 5 kids so took 7 of these as we needed to maximise our baggage since in camping you take your own sheets and things, the kids loved them because they took ownership and added all their personal stuff to play on the 10 day trip. The bags are light enough and sturdy enough and represent great value. Ryanair of course had no problem with them as they fit the second smaller hole perfectly as you can see in the video..
Its a great little bag to use as well after the flight. 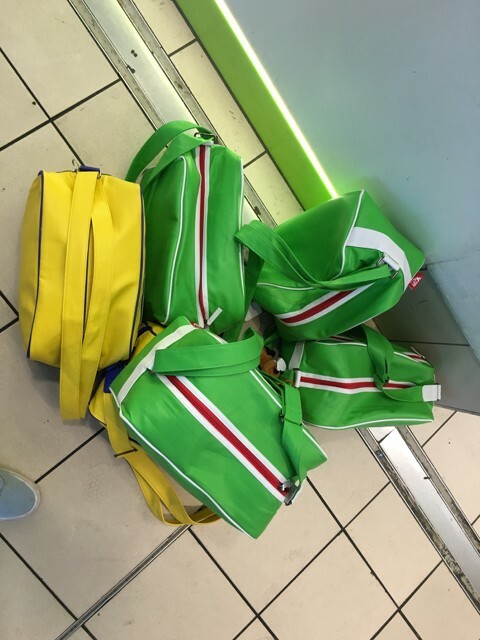 Nice inside picket with zip and they look a bit retro like the iconic addidas bags I took to school over 20 years ago [https://uk.pinterest.com/pin/49891508346145600/].